Today, I’m at week 10, day 67 of this hybrid round. Everything, as they say, is awesome because I’m on schedule and things continue to trend well. No injuries. Strength, mobility and flexibility are gaining. Tennis play is improving, with actual wins on the doubles court. I’m still not playing singles and am refraining from doing so this summer as well. While I’m moving fairly well now in doubles, I can tell the demands of singles would really overtax my knee/hamstring. With the kettlebell, I’m swinging that 20 kg bell a bit longer before retreating to the 16 and the 12, depending on the routine. I remain happy with the structure of this hybrid. It seems to offer up recovery days just as I need them. 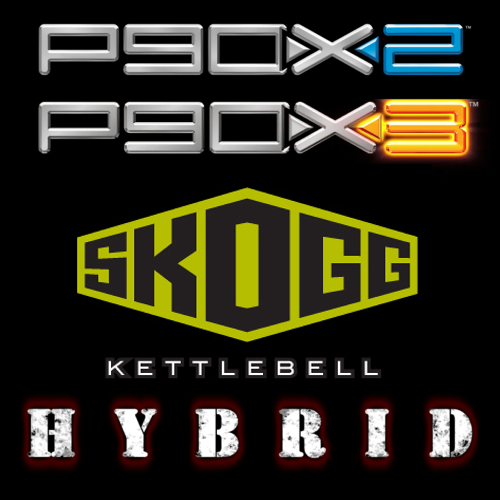 This is good because I’ve been messing around with structuring another hybrid that incorporates P90X and Insanity along with P90X2, X3 and the kettlebell. The Mother of All Hybrids is what I’m calling it. Because of all the routines, it will extend to about 150 days. I hope to try it out beginning this summer sometime. Today begins week 7 of this 16 week hybrid round. And while some days are better than others, the general trend is one of increasing strength and muscle gain. I’ve expressed this gain with the purchase of a new, 20 kg (44 lbs) kettlebell. It’s very satisfying that I’ve gone from swinging a 16er for about half my rounds, to now starting out with the 20 and falling back to the 16 as my baseline bell. So things are generally trending well. My injured knee/hamstring issue continues its healing. I’ve introduced deeper squats and moderate plyo into my routines. Movement on the tennis court is getting better. Hiking and backpacking performance is decent. Range of motion in yoga routines is getting closer to normal on the injured side. In February, I went on our Troop’s annual backpacking trip to Pine Mountain, Georgia. We hiked 10 miles the first day. 10 miles is a pretty good distance with a full pack. As is usual for me, around mile 8, the tendons around my knees started getting bitchy. Likewise, with the better weather, I’ve started doing a 5.5 mile loop hike down by the river near my house. My time is good, but my steps lack that plyo spring I enjoy when in very good shape. So the 8 mile backpacking knee pain and the lack or elan in my hiking steps are why I characterize my performance as “decent,” as opposed to something more exuberant. Also, since I’m sort of complaining, there is still zero weight loss. And it’s definitely not because of all the awesomeness and muscle gain I’ve developed. It’s that damn belly fat. I’ve resolved to work harder at it because it’s really starting to bug me. It’s also, I know, at the root of what’s slowing me down. On the positive side, pull ups are getting stronger, even though I’m pulling up 10 lbs more weight. So the optimist would say I’m enjoying the cost savings of not needing to purchase a weighted vest to make my pull ups more challenging. I would say: lose the weight and do more pull ups! So far, it’s the pull ups that are proving the most draining, particularly the needed ab effort. Two days afterwards, I still feel it. Was Gaston modeled after P90X star Tony Horton? If not for the beast within us we would be castrated angels. I’m now into week 4 of this round and it’s something of a recovery week, which is appreciated. Yesterday, while swinging my kettlebell, I had to drop down to a lighter bell earlier than I’d hoped. I was just so sore and completely out of gas. Why? Well, two days prior, I’d done the P90X3 routine called “The Challenge.” It’s a routine that just alternates eight sets between push ups and pull ups. Now heavier (still 160 lbs), those pull ups aren’t what they once were. But I set my goal at 25 push ups and 10 pull ups for each set. And yes, in those final sets, my pull ups were not consecutive. But I did them for a total of 80 pull ups and 200 push ups. And that, that is what caught up with me yesterday as I was doing my kettlebell routine. So far this round, I’ve managed to stay on schedule. I’ve also played some poor, uninspired, uncoordinated mixed doubles tennis. My knee continues to recover. The hamstring that tore seems healed, though still somewhat stiff, perhaps this is scar tissue. My movement on the tennis court is poor and I haven’t tried to force it to a higher level, not trying to do too much, too soon. Yeah, there was no risk of that this past month. Anyway, I’m hoping I’ll be in better form and more fully recovered as the men’s doubles season starts. I’ve opted out of singles because that’s just too much right now. Over the weekend, I watched Beauty and the Beast (in 3D) on BluRay HD. I hasn’t seen it since my son was little. All I can say is “wow.” In high definition, in 3D, with uncompressed audio, it’s a reference-quality flick. And Gaston, that villain, was he modeled after Tony Horton of P90X fame? Damn if he doesn’t look exactly like him! My last attempt at this hybrid ended first by adjusting the schedule, then by acknowledging that I needed to quit to allow for my hamstring to heal. Now, months later and five pounds heavier, I’m still not 100% but there’s no pain, just awareness of the issue. I spend January swinging kettlebells without any deep squats and riding a stationary bike. Now, with a new month, I’m feeling that I should dip my toe in the water and try to get back into a more diverse routine. So I started this hybrid again yesterday. It begins with the kettlebell and I swung it heavy (16 kg) in Round 4 for 4 out of 6 moves before retreating to the 12er in the Skogg Roots DVD. Still attentive to my knee/hamstring issue, I’m only doing very shallow squats. And again, with today’s P90X3 Total Synergistics, I refrained from any plyo moves and kept those squats shallow. It feels good to be on a schedule again. Once again, it’s time to commemorate the year’s top 10 posts for this blog. The Top 10 represent the posts which have the most visits during the course of the calendar year. Given this, recent posts are at a disadvantage because they haven’t has as much time to accumulate hits. Again this year, the tennis elbow saga dominated the hit list. So much so, that I should probably petition to get a commission of Thera-band revenues. But it wasn’t all about recovery. P90X/Insanity related posts remain popular as well as my rants about getting a scholarship in the State of Georgia. I’m also happy to report that my initial Austrian Hut to Hut post came in at number 7 as well as my wonderful Teton Crest Trail account at number 10. I re-visited the Alps this year with my son and that post (below) very nearly reached the top 10. Thanks for visiting this blog. Have a happy and healthy New Year! Yes. Cutting to the chase, I did it. Just a few minutes ago, I was finally able to muster the will to do 100 consecutive push ups. Upon completion, I collapsed to the floor! After failing in my first attempt at the 100, I repeated weeks 5 and 6 of the hundred pushups program. This time, I was able to perform those sets better than the first go round. And after finishing up the final day of week 6, I rested for two days before attempting the 100 consecutive. 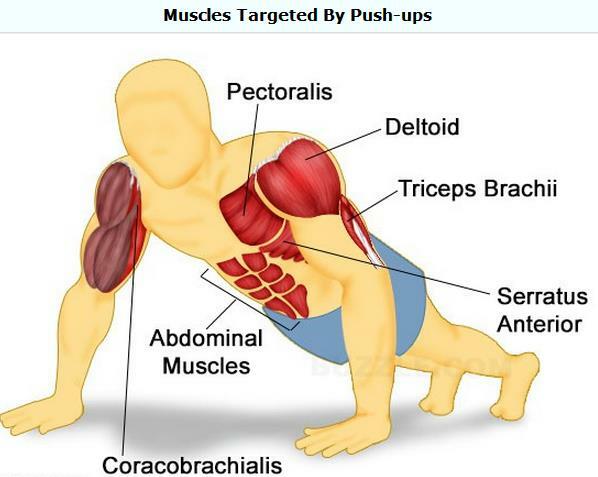 Push ups are a great exercise. They have really helped improve my upper body strength. And, hopefully, the lack of lower body stress gave my injured knee the help it needs to recover. Anyway, now I can stop obsessing about push ups and get back into a more diverse training regimen. After my complete and total failure last week to perform 100 consecutive push ups, I was forced to confront my demons. Having fallen just 10 short of the desired outcome, I had to look within and ask why. Why did I choose to fail? Anyone can do 10 push ups. Why did I opt to not do those mere 10 to achieve 100? What kind of self-loathing had held me back? Who am I? What is the meaning of life? OK, OK, it wan’t quite so existential a crisis. But, damn, I was close. Maybe I could do it. About 20 minutes after I finished my last blog post, lamenting the 90, I felt an actual surge of energy. “What the hell,” I thought, “go for it!” So I got down and push-upped some more. This time, peaking out at 60. I decided right then to try for the 100 again after taking a day’s rest. So, now two days later, I attempted to crank out 100 push ups once again. This time, committed to challenge and overcome the voices that say “stop” when the goal is in sight. And this time I managed… 88. Look, I know that I’m not going to receive much sympathy for my plight. After all, I realize that this is in the 1/40th of a percent of first world problems. But it is a goal, even if it’s arbitrary and based on a decimal system Weltanschauung. I did decide that the failure was not mental, because this time I was really telling myself to push. And there was no power left to get one more, let alone the needed 12. The push up program advises failures who seek more punishment to go back two weeks, and redo weeks 5 and 6 before attempting the 100 again. So that’s exactly what I’m doing. Yesterday was Week 5, Day 1, Column 3 Redux. My results were better than the first time I did that round. Progress. 100 Push Ups: Close, But No Cigar! On Monday, I completed my final week of the 6 week, 100 Push Ups program. Because I was able to do 30 consecutive push ups in my initial test, I was able to begin in Week 3, making this only a four-week program for me. I then allowed myself a couple of days rest before attempting my final test today. The objective was: 100 consecutive push ups. Well, I came very close to that goal by successfully doing 90 consecutive push ups. So close, in fact, that I’m sitting here wondering if my shortfall was due to mental rather than physical shortcomings. I think I will try again tomorrow, or Saturday. If I still miss the 100 mark, then I’ll revisit weeks 5 and 6 and see where that takes me. Honestly, I’m surprised I got to 90 today. Well, I made it through week 5, with better success than Week 4. I still needed to break up my final “max” set into smaller subsets, but–hey–I was working. My cumulative push up count on Day 3 was 201 over the course of 8 sets. After resting for a day, today I steeled myself up for another exhaustion test. I told my brain to tell my body I could to 60 consecutive push ups. Surprisingly, I managed to crank out 62. A strong improvement from my max of 44 just one week ago. So, I’m feeling accomplished and inspired to keep at it. Tomorrow begins week 6. This is supposed to be the final week of the program to enable me to do 100 consecutive push ups in the exhaustion test following week 6. We’ll just have to see what I can do. I finished up the third and final day of Week 4 of the 100 Push Ups program, again having to break my final two sets into smaller sub-sets to get all the reps in. Over the course of the five sets, I did 160 push ups. Then I waited a day to rest before doing my exhaustion test. 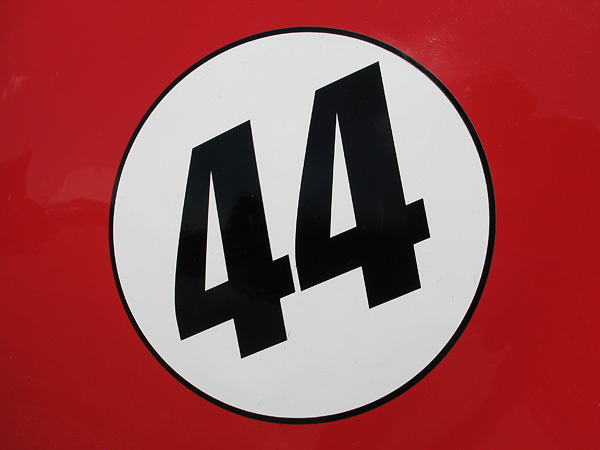 Today, all rested and hopeful, I set out to do the exhaustion test with a goal of completing 45 consecutive push ups. I did 44. I reached complete failure after the 44th push ups and could not lift myself back up to get to 45. Satisfied that I gave it my best effort, I went to the chart to see what guidance was offered about proceeding. It said if you completed “more than 40 consecutive push ups,” proceed to Week 5, Column 3. I looked at the reps in Week 5, Column 3. It is a major increase from Week 4 (where I reached failure). So I’m not yet sure if I will attempt that, or scale back a bit to the somewhat less demanding Column 2. Either way, I’m fairly pleased with my progress thus far.